Important Note: To view MLS® statistics charts for a specific metropolitan area of the province, click on the name of the area in this press release. There were 80,126 MLS® sales transactions in the province of Québec in 2010, a slight increase of 1 per cent compared to 2009, according to the Québec Federation of Real Estate Boards (QFREB). This makes 2010 the second most active year in QFREB history. "There were two phases in 2010. The year started with strong sales increases from January to April and was followed by moderate but consecutive decreases in the last eight months of the year," said Claude Charron, President of the Board of Directors of the QFREB. "The sustained activity at the start of the year was enough to compensate for the slowdown that took place later on, making 2010 the second best year in QFREB history in terms of sales. Only 2007 was more active with 80,647 transactions," he added. The popularity of condominiums contributed significantly to the market's strong performance in 2010. The 16,513 condominiums sold across the province set a new record, surpassing the 2009 peak by 6 per cent. Furthermore, condominiums were the best-selling property category in each of the province's metropolitan areas with the exception of Trois-Rivières, where the condominium market is still quite small. Province-wide sales for single-family homes remained stable in 2010 compared to 2009, while plex sales decreased by 2 per cent. Sustained price increases were also on the agenda in the province of Québec in 2010. Half of all single-family homes sold in 2010 were sold at a price higher than $209,500, a 7 per cent increase compared to 2009. The median price of condominiums increased by 8 per cent to reach $195,000, while that of plexes increased by 10 per cent to reach $315,000. "The number of active listings decreased by 4 per cent in 2010 compared to 2009, the first time this has happened since 2004," said Claude Charron. "This decrease in the supply of properties largely explains the sustained price increases despite the market's slowdown at the end of the year. However, in the last months of the year, the supply of properties began to pick up. This increase in inventory is expected to slow price increases and is good news for buyers, who now have more choice," he added. The market slowdown that began in May continued in the fourth quarter of 2010, as sales in the province decreased by 11 per cent compared to the fourth quarter of 2009. In terms of property categories, condominiums were least affected by the slowdown in sales in the fourth quarter of 2010, falling by 7 per cent compared to the fourth quarter of 2009. Sales of single-family homes across the province decreased by 11 per cent while that of plexes fell by 15 per cent. As for property prices, price increases were sustained in the fourth quarter of 2010. This was particularly true for condominiums as their median price increased by 10 per cent to reach $204,000. The median price of plexes increased by 9 per cent to reach $322,000, while that of single-family homes increased by 6 per cent to reach $212,900. In 2010, the regions located outside of the metropolitan areas (CMAs) were the most active in the province. The number of sales transactions in these areas increased by 8 per cent compared to 2009. As for the metropolitan areas, Montréal(http://www.fciq.ca/pdf/Communiques_presse/stats/stats_mls_q4_2010_a.pdf#page=5) was the only area to register an increase in sales in 2010 compared to 2009, as sales grew by 1 per cent. The popularity of condominiums (+7 per cent) was the main reason behind this increase, while sales of plexes and single-family homes remained fairly stable (-1 per cent). In terms of prices, the median price of single-family homes increased by 7 per cent compared to 2009 to reach $252,000. The median price of condominiums increased by 8 per cent to reach $210,000 and that of plexes increased by 9 per cent to reach $380,000. The Saguenay area (http://www.fciq.ca/pdf/Communiques_presse/stats/stats_mls_q4_2010_a.pdf#page=7) finished 2010 with a slight decrease in sales (-1 per cent) and an increase in property prices. The median price of single-family homes reached $158,000, a 9 per cent increase compared to 2009, while that of plexes increased by 12 per cent to reach $160,000. Finally, the median price of condominiums posted a more modest increase of 2 per cent to reach $134,000. Sales in the Gatineau area(http://www.fciq.ca/pdf/Communiques_presse/stats/stats_mls_q4_2010_a.pdf#page=4) also decreased slightly in 2010, as the 4,241 sales transactions represent a 2 per cent decrease compared to 2009. As for prices, the median price of single-family homes grew from $193,200 in 2009 to $208,000 in 2010, an increase of 8 per cent. The median price of condominiums increased by 6 per cent to reach $153,000, while that of plexes grew by 2 per cent to reach $225,000. Between January and December 2010, there were 1,733 sales transaction in the Sherbrooke area(http://www.fciq.ca/pdf/Communiques_presse/stats/stats_mls_q4_2010_a.pdf#page=8), a drop of 4 per cent compared to the same period in 2009. As for prices, the median price of single-family homes reached $180,000 in 2010, a 9 per cent increase compared to 2009. The median price of condominiums increased by 4 per cent to reach $140,750 while that of plexes increased by 1 per cent to reach $200,000. With 934 transactions, the Trois-Rivières metropolitan area(http://www.fciq.ca/pdf/Communiques_presse/stats/stats_mls_q4_2010_a.pdf#page=9) posted a 10 per cent decrease in sales compared to 2009. However, property prices were up, as half of all single-family homes sold in 2010 were sold at a price that is higher than $143,000, an increase of 6 per cent compared to 2009. The median price of condominiums increased by 7 per cent to reach $123,000 while that of plexes increased by 15 per cent to reach $150,000. Finally, in 2010, the Québec City area(http://www.fciq.ca/pdf/Communiques_presse/stats/stats_mls_q4_2010_a.pdf#page=6) posted the largest decrease in sales of the province's six metropolitan areas, with a drop of 11 per cent compared to 2009. Despite this decrease, the Québec City area also posted the strongest price increases in 2010. The median price of single-family homes and plexes increased by 13 per cent to reach, respectively, $220,000 and $252,000. The median price of condominiums also posted a solid increase of 12 per cent to reach $178,000. For more information, including quarterly statistics for the province of Québec, as well as its municipalities and regions, visit centris.ca™(http://www.centris.ca), Québec's real estate industry website. 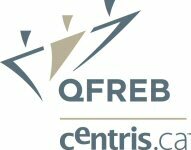 The Québec Federation of Real Estate Boards is a non-profit organization composed of Québec's 12 real estate boards as associate members and the 15,000 real estate brokers who are affiliated members. Its mission is to promote and protect the interests of Québec's real estate industry so that the boards and their members can successfully meet their business objectives. For more information on MLS® statistics for each of the province's regions, don't miss the upcoming publication of the MLS® Barometer.